As workshops are held throughout each of our communities across Africa, testimonies of the transformation occurring in our Care Workers lives are being told by our local leaders as they witness the work of God in many lives. Here, we share with you some of the radical changes happening in local churches, families, and deep in the hearts of the men and women we are called to serve. They are the poorest of the poor, but they are meeting Jesus, who became poor for our sakes. As the revelation of His sacrifice and love becomes real to our Care Workers, they are experiencing a completely new reality and a completely new Saviour. 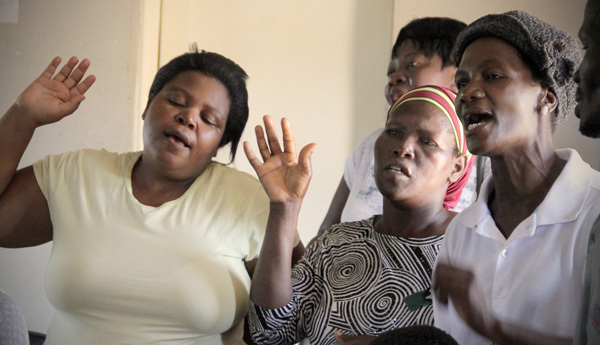 During the Maranatha Workshop in the community of Baraka, Zambia, many Care Workers experienced healing and joy. 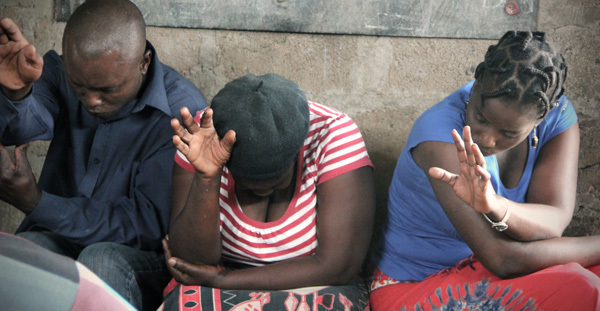 One of these Care Workers was a man named Kunda who for years had carried anger and resentment deep in his heart. On the first day, the teachings gave an understanding of who Jesus is and the truth that He binds up the broken hearted and brings good news to the poor. As Kunda discovered Jesus and comprehended what He did to bring freedom and love into our lives, Kunda was filled with a new joy! As soon as he returned home he greeted his wife with this new found bliss. At first she responded in utter disbelief but as Kunda laughed, outwardly aware of his transformation, she knew it was the answer to 30 years of prayer. The following day they arrived at the workshop together, celebrating in God’s faithfulness and thanking Him for the transformation that took place. Care Workers at Baraka Community Based Organisation in Zambia have been deeply encouraged by walking in their community and visiting the most vulnerable people in their homes. They experienced pain and brokenness but they also see hope! As part of our Maranatha Workshops, Care Workers spend a day focused on learning the importance of listening to the Holy Spirit during their home visits. Care Workers have put this into practice and returned with a powerful testimony. The Care Workers experienced God’s continued healing in this family. Later they learned that on that same day they visited, the mother returned home. Faith was renewed in our Care Workers as they witnessed God move so powerfully. Each day our Care Workers now go out with a renewed spirit to bring hope, support and relief to the homes of the most vulnerable. Peter, a local pastor and the coordinator of Chisamba Community Based Organisation, in Zambia was inspired to tell his story after experiencing a Maranatha Workshop. He grew up with an absent father, and his mother sent him to live with his sister when he was five. When Peter’s mother was pregnant with him, his father threatened to drown her baby if it was born a girl. Peter's mother begged God for a son, vowing to raise him to be a pastor. God gave her Peter. As he grew up, Peter had no desire to fulfill his mother’s vow. But she was adamant, and pressured him into reluctantly become a pastor. Peter was placed in a local community church, preaching every Sunday. He and his wife started a family, but his heart ached. Peter resented his mother for her expectations, and he was angry at his father for abandoning him. At home, he would abuse his family and shout at his neighbours. Peter preached the Word of God, yet carried a heart full of rage. At night, he would weep alone, not knowing how to cope. During the Maranatha Workshop, Peter began to learn about inner wounds, God's love, and the gift of salvation. He was able to recognise where the bitterness he carried came from. As he released himself into God's truths, he was filled with joy, love and forgiveness. A renewed sense of resting in God's grace is now flowing into his family and church relationships. With a new understanding of his Heavenly Father, Peter is able to honestly love and accept his own father.